How Far is Radiant Pearl? 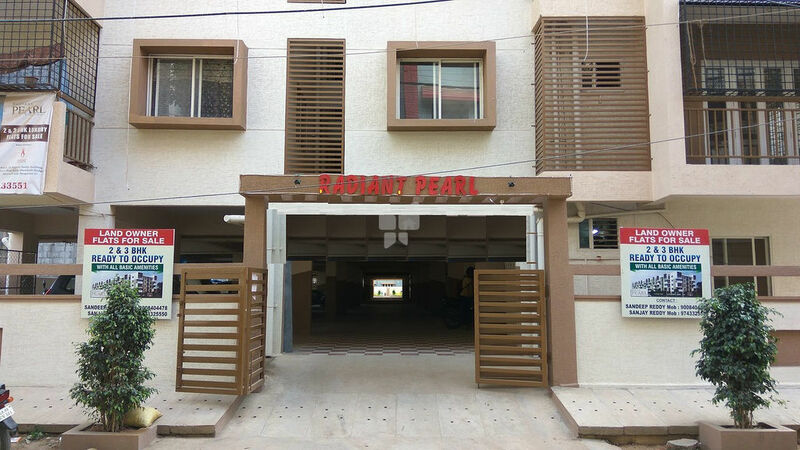 Radiant Pearl is a residential project located in Bangalore, developed by Radiant Structures. The project offers very well designed 2BHK and 3BHK residential apartments. The project is well connected by various modes of transportation. The site is in close proximity to all civic utilities. Radiant Group’s aim is to deliver quality to satisfy customers forever, to quote realistic price always, this is what the radiant structure is all about. The group has a team of professionals who have two decades of experience in property development. At Radiant Group skilled engineers, architects, workers, marketing professionals, and customer care personnel are there who provide best customer service. The Management team is headed by Mr. Raghavendra Reddy. A civil engineer who has independently handled huge residential and commercial projects. At Radiant all the members in the company are committed to providing project which exceeds customer expectation. Radiant Lake View is an example of excellent work done by the group, the project offers apartments for sale in Bangalore. Some of the projects of Radiant Group are Radiant Heritage, Radiant Moon Flower, Radiant Wood Villa, Radiant Royal Woods in Bangalore and Radiant Ravi Rachna in Navi Mumbai. Ensuring that the customers get the best of lifestyle at any given time. To live by this promise, we’ll ensure that we have the best people, processes and equipment at our disposal. Superior quality is an everyday affair at Radiant. It simply involves skilled application of manpower, processes and equipment to deliver the best products at reasonable prices.